Start Pushing Your Ranking With REAL Private Blog Network worth $199 for just a cheap price. 1. Run Away From Negative SEO sellers, they will do more harm to your website. 2. Spammy links MUST NOT be pointing to your website. 3. There MUST NOT footprints whatsoever, Google can easily detect this. 4. Content used MUST NOT be copied, you would be raising a red flag if this is done. 5. Contents must not be heavily spun. 6. Only a few links must be pointed to your website. 7. These links MUST NOT be spammy. 8. Good SEO provider MUST create good contextual Tier 2 links on every campaign. 9. 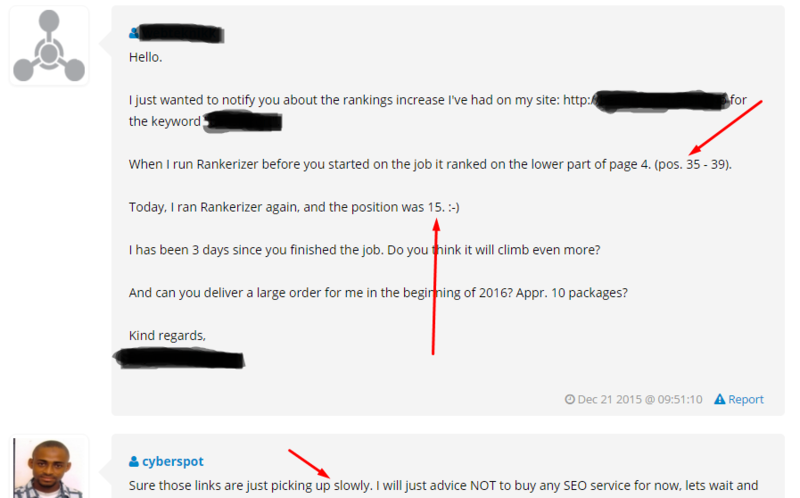 Good SEO provider MUST not use any software for your Tier 1 backlinks. 10. Social signals MUST be added by a very good SEO provider. If your SEO provider is not providing all the above or hiding thier real methods for you, its high time you fire them and come to CyberSpot. We would happily erase their bad SEO and begin fresh link building for you. Can't wait to have you on board. No refund at the time we start working on this it cost us time and money.